The hype behind Eden of the East was huge before its original release in 2009: a series directed and written by Kenji Kamiyama – whose CV includes the likes of the Ghost in the Shell series, Blood: The Last Vampire and Patlabor – and produced by Production I.G. So, imagine being that band chosen to provide the opening theme of such a show. Some might say it’s guaranteed success amongst a portion of Japan’s anime-watching population. For five lads from humble beginnings, this opportunity would be theirs. Going by the name of Oasis (pronounced Oh-Ah-Shish), they would roll with it and land their very first anime tie-in – and it would be their last ever single. This isn’t a story of a band being dropped from their label after failing to reach expected sales, though. Their demise, if you can call it that, was mostly down to sibling bickering between its vocalist and guitarist. 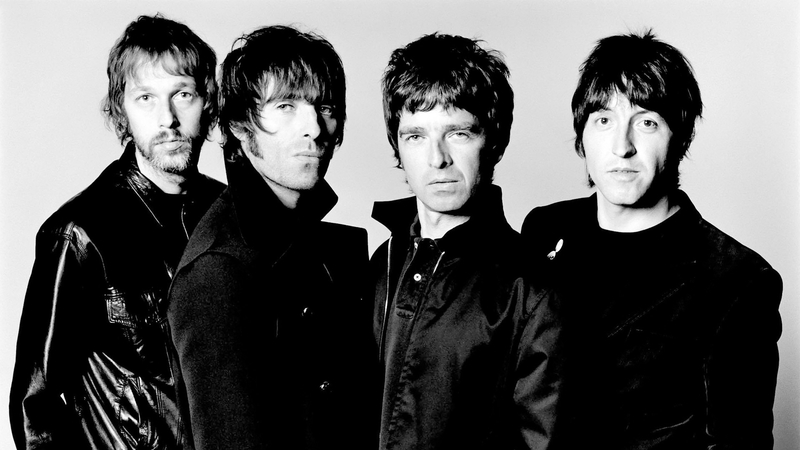 But then, you don’t need me to tell you who Oasis are and why Noel and Liam Gallagher went their separate ways. But the story of their final single “Falling Down” is an interesting one. Especially because it left Anime Limited in an unusual position when licensing Eden of the East. When a piece of music is used in TV, film or commercials, a sync license is needed from the track’s publisher. Essentially this is a contract that states which countries the track has been cleared for use in, how much of the song can be used, how much the licensor has agreed to pay, how long the song will be cleared for and which formats the copyright covers. These last two points are the reasons the soundtrack to Crazy Taxi or The Wonder Years had to change some songs when they came out again on new formats such as DVD or digital download, these mediums didn’t exist when the original contracts were made, or the clearance period had expired, and the track usages needed to be renegotiated. In some cases, songs weren’t so well known at the original time the sync license was granted, but have since become classics and now cost a pretty penny for their inclusion. British TV drama Skins spent very little on licensing songs by working with up and coming, indie artists that would later become huge household names and would now most likely cost a small fortune to get included in a show. For Eden of the East, the sync problems were a little different. Oasis’ “Falling Down” was cleared for Japan, but for the rest of the world? Nope! They’d have to go and sort it out themselves. And for the UK, where bands don’t get much bigger than Oasis, that’s going to cost. Thankfully, “Falling Down”’s publisher isn’t all about the ker-ching ker-ching, and kindly granted clearance of the track for the first episode, allowing fans to experience the series as intended by its creators. Eden of the East Collectors Edition is out now on Blu-ray from Anime Limited and includes the series and both films.